Great Lakes Books Series, 9780814336038, 264pp. Though it was located far away from Southern battlefields, Detroit churned with unrest during the American Civil War. The city's population, including a large German and Irish immigrant community, mostly aligned with anti-war Democrats while the rest of the state stood with the pro-Lincoln Republicans. The virulently anti-Lincoln and anti-Black Detroit Free Press fanned the city's flames with provocative coverage of events. 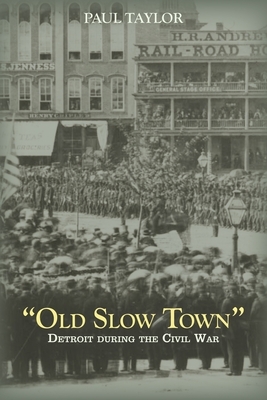 In "Old Slow Town" Detroit during the Civil War, award-winning author Paul Taylor contends that the anger within Detroit's diverse political and ethnic communities over questions about the war's purpose and its conduct nearly tore the city in two.